Jake DeBrusk is a Canadian professional ice hockey left winger. 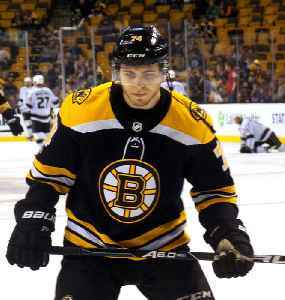 He is currently playing for the Boston Bruins in the National Hockey League (NHL). He was drafted 14th overall by the Bruins in the 2015 NHL Entry Draft.